Many athletes who get good results in their sport end up focusing on building their brand. A couple of others like French inline speed skater Elton de Souza, prefer to take advantage of their performances and their knowledge to grow every aspect of their sport. We sat with de Souza while he was in Canada for a speed skating clinic. Elton de Souza’s inline skating career started at the age of three. It's under his dad's guidance that him and his three brothers developped their talents on wheels. Terrance de Souza, had his very own coaching techniques to train his sons. He had been a karate instructor in the past and a lot of his exercices were based on karate movements. 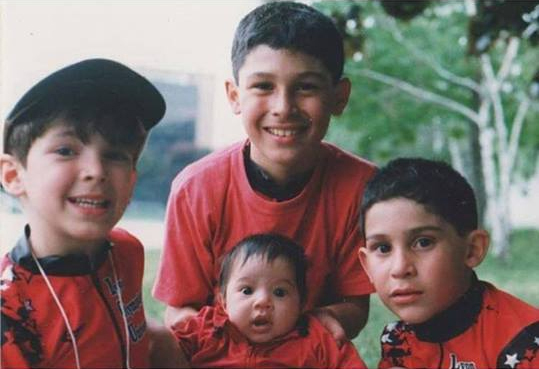 “My dad’s goal was clearly to train world champions. He raised us so that we would become world champions and he was very strict” says de Souza, but the discipline imposed by his father never really bothered him. Elton de Souza always knew that he would work hard until he would be crowned world champion and it paid off. Throughout his career, he has won several World championships medals, was crowned World Games champion and added two relay world champion titles to his resume. 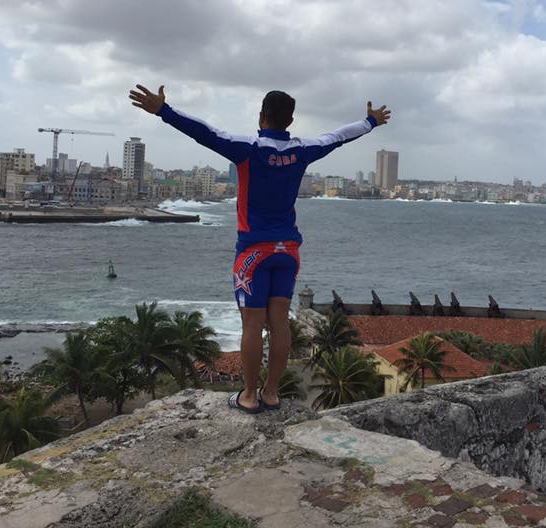 “Winning a world championships title in the relay in front of my dad this season was amazing for me” said de Souza. When asked about his favorite skating moment so far in his career, Elton de Souza has no hesitation: his victory in the relay with Ewen Fernandez and Gwendal le Pivert in Heerde this season. ‘’It was a crazy performance, we skated like bosses, we were the best team in the world and it’s truly a moment I’ll never forget." After a perfect race by the the three French skaters, Elton de Souza was able to put on a perfect last lap hedging out Pedro Causil at the finish line. ‘’Everybody dreams of beating Pedro Causil in the last straight line but nobody is able to do it, but this time I did it. It’s the result of many years of training and sacrifices.’’ If you haven’t seen this race, we suggest you check it out by clicking on this LINK. This race will be remembered for years to come. The French relay has a victorious past and the future looks bright with a solid current team and a couple of young skaters coming up like Martin Ferrié, Valentin Thiebault, Bastien Lhomme, Flavien Foucher, Giovanni Trebouta, Doucelin Pedicone and some others. For Elton de Souza, inline speed skating's development is really important. That's why he’s giving speed skating clinics all over the world and tries to share his passion and knowledge with different cultures to grow the sport. That's also a good way for him to make a living. He’s also one of the most present inline skaters on social media where he shares his love of skating. 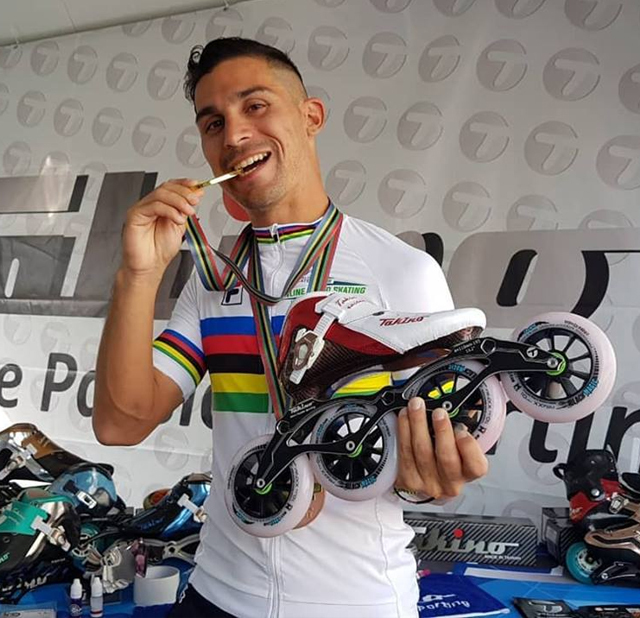 ‘’I try to develop the sport, to use my passion to inspire people, because it’s what I can do at my level to grow the sport I love’’ De Souza doesn’t hide his dream of seeing inline speed skating at the summer Olympic games. Why not in Paris in 2024? With France’s good results on wheels in the past years, the French skater thinks it would be the perfect occasion to present their sport to the world. With the recent events concerning doping in Russia in different sports, some speed skating fans wonder how inline speed skating is affected by it. We asked de Souza about the doping situation since he’s been skating for a while. “I feel like I race in a fair sport. Since I have joined the senior category in 2009, I’ve been tested from 2 to 5 times each season” said de Souza. Doping in inline speed skating has often been linked to the dominant country of Colombia. “Colombian skaters spend more time than us training, they do more sacrifices and they have more money than us” explain de Souza who don’t automatically link doping with Colombia. “The Colombian selection is the best, they’re the world champions year after year and I admire their work ethic” conclude the French skater. An opening for ice skating? More and more inline speed skating athletes are making the switch to ice speed skating to qualify for the Olympics. We asked the successful inline skater if he has an interest for ice skating. “Trying ice speed skating would a lot of sacrifices only to achieve the goal of being an Olympic champion. For me an inline speed skating world title is worth the same as an olympic title in an other sport” said de Souza. He admits having a lot of respect for inline skaters who give it a try, but it's not part of the Frenchman's goals at this moment. De Souza feels like jumping into this new adventure would take him away from one of his main goal which is promoting the sport of inline speed skating. The world champion has been contacted by the French short track speed skating team to participate in a training camp with them. “I will try it just to see how I would be on the ice but for the moment it is not my goal to perform well on ice” concludes de Souza. It’s clear that de Souza’s career is not over and he’s now skating toward his ultimate goal: becoming a world champion in an individual distance. He also keeps in mind his goal of promoting the sport all around the world. Many athletes who get good results in their sport become good ambassador for their own career. For Elton de Souza, inline speed skating allows him to do much more. Every sports would like to have his Elton de Souza, a passionate ambassador on and off the track. While we chatted with him, we realised that we were not just talking with an incredible athlete and human being but that we had also find an ally who shares with us the goal of making speed skating grow.